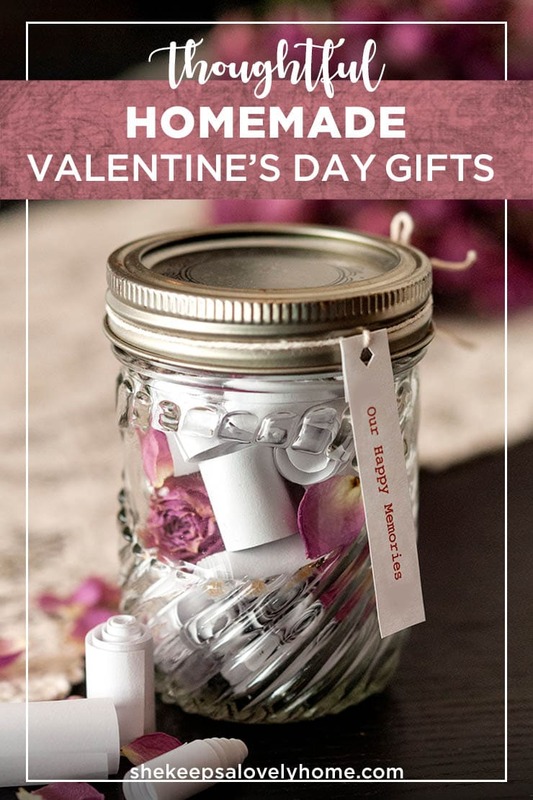 Do you want to create a thoughtful, homemade Valentine’s Day gift this year that’s very affordable, simple and sweet? 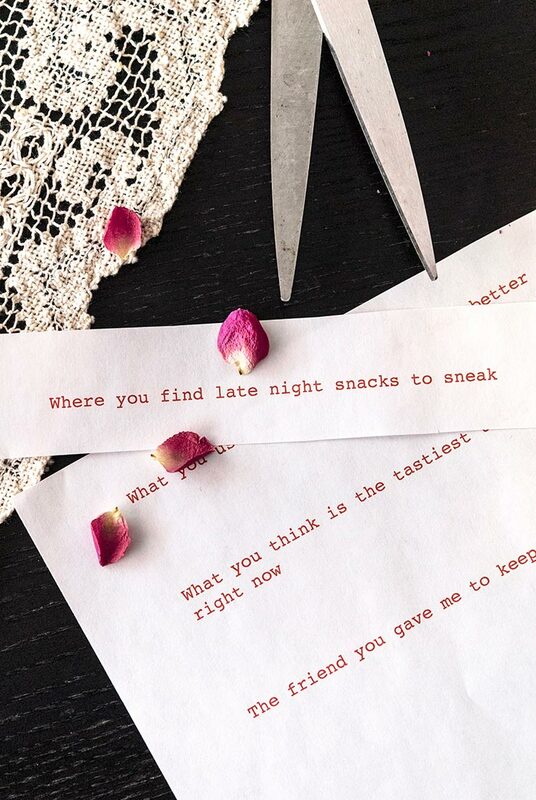 Here are a few charming, memorable, perfectly heartwarming (and possibly tear-jerking) ideas to give your sweetheart all the feels and give cupid’s wings a flutter. This is one of the sweetest gifts to both make and receive. 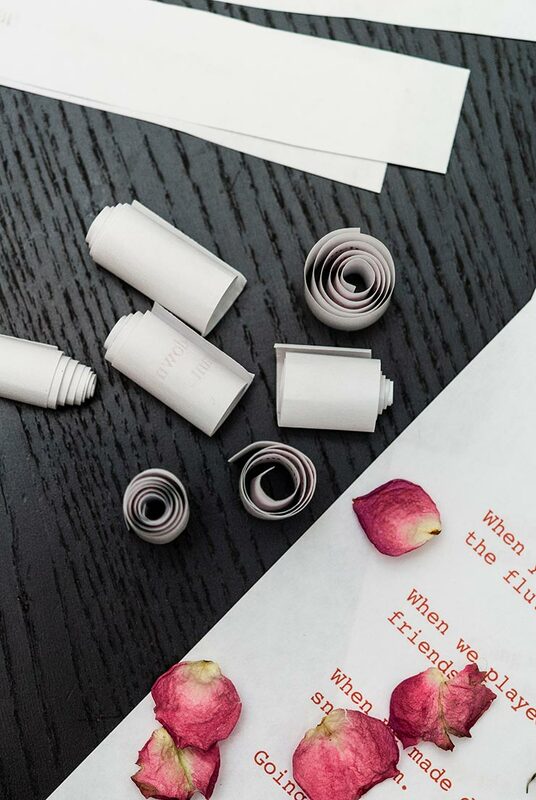 You might find yourself having a tear or two as you recall your favorite memories with your loved one, and roll them into little, tiny paper presents in a jar. 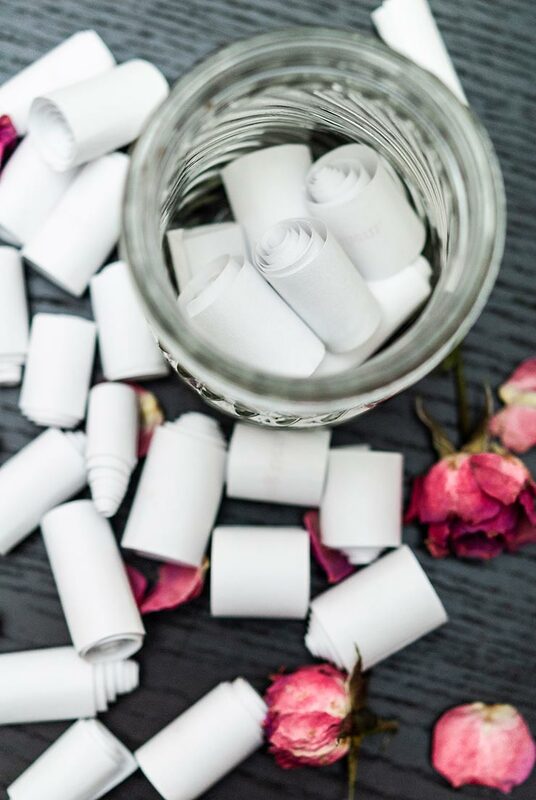 Either write or type your happiest memories of the year (or ever) with your sweetheart on a piece of paper, making sure to add some space between each memory. Be specific and mention the tiny details that made that experience so special. If you’re having trouble remembering, here’s a tip. Just go through all the photos on your phone! You’ll find a LOT of memories tucked away – certainly enough to jog your memory! 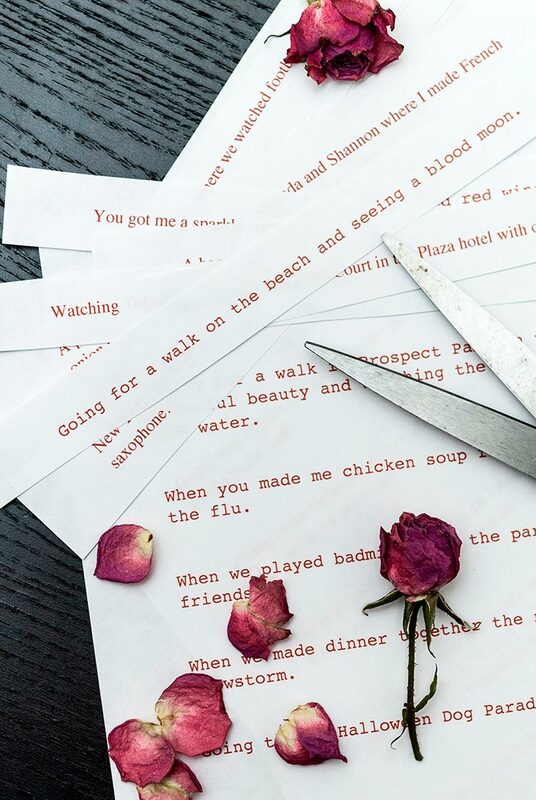 When you have enough, cut the memories out in strips and roll them up into little scrolls, one by one. As you roll them, you might find that they come undone a bit. Simply wait a few seconds and roll them tighter. 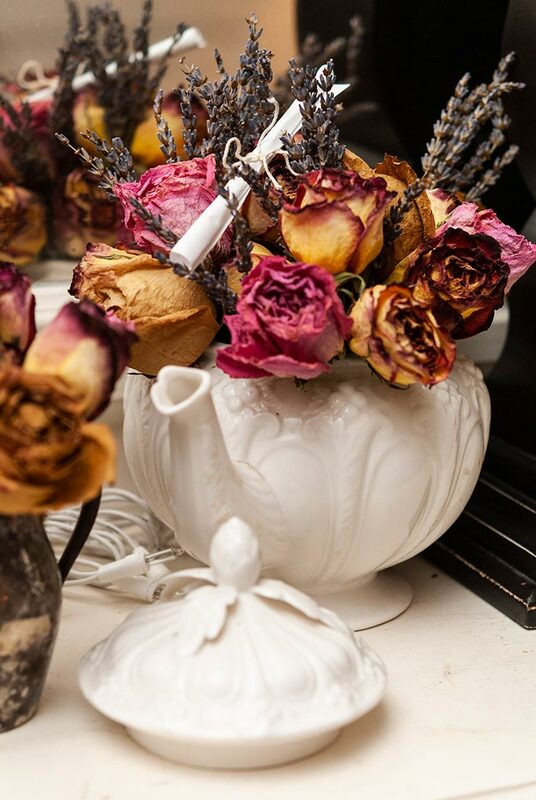 Place all your little memories in a jar with a few dry rose petals (if you like – they just look so pretty in a jar with the scrolls). 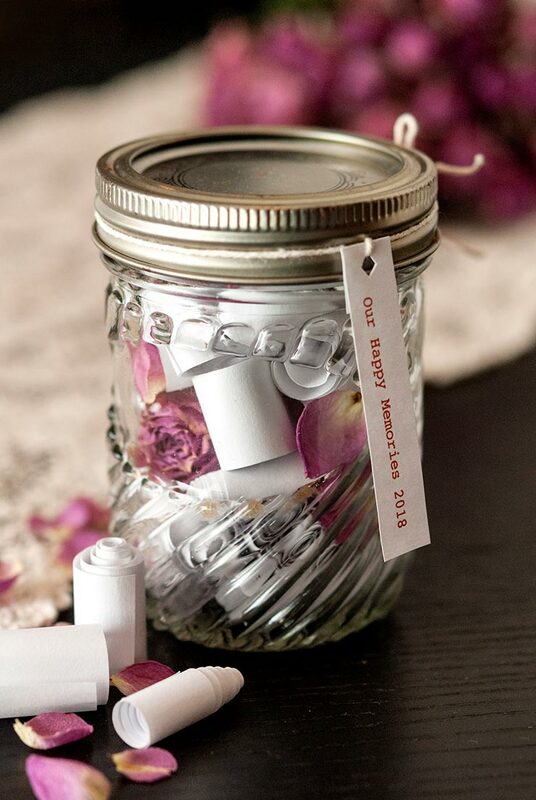 you can create a little tag that says “Our Happy Memories” or something sweet, and tie it to the jar with a string. 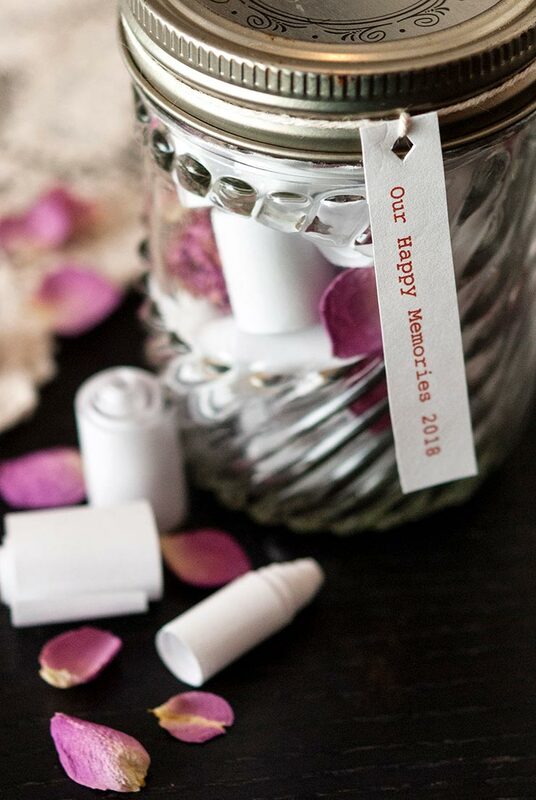 A jar of memories is truly one of the loveliest Valentine’s Day gifts, not just because it’s so personal and so meaningful, but because it can be kept forever, and opened up years later like the treasure it is. My husband loves a challenge. I thought it would be fun to create little “clues” that lead him around our home to find a gift at the end. Simply think of places in your home where you’ve shared a funny or touching memory, a place that makes you think of them, or objects with a specific significance that you can use as a clue. 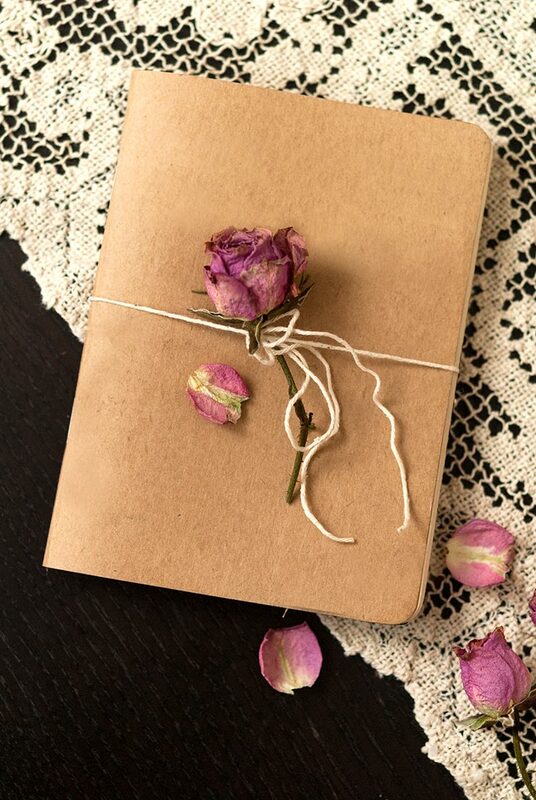 Then, write them down, roll them up, and tie them with a little string. I’m going to put another clue right under that little bunny on my bed that leads him to the flowers on the mantle that we bought together at the farmer’s market, and so on. This one takes some time, but that’s the thing that makes these presents so special: it’s the thought they took and the time you took to make them. 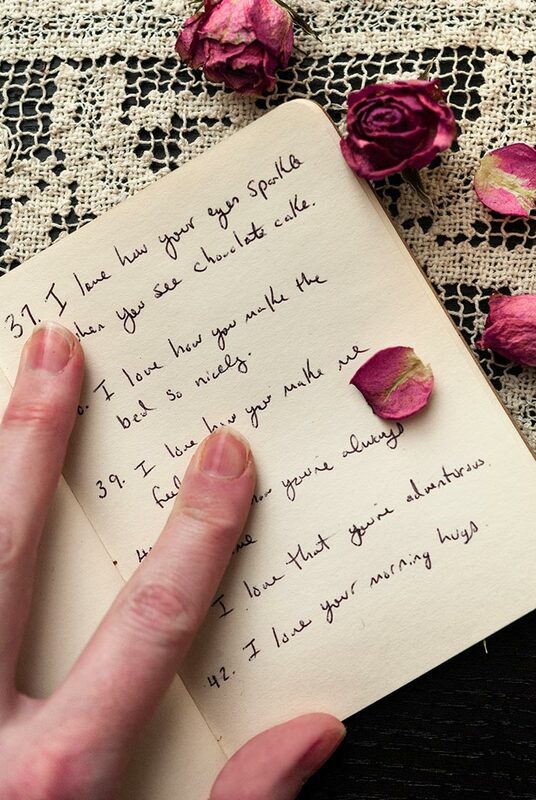 A little book of reasons why you love someone, with every page filled, is truly one of the most thoughtful gifts you could ever give. My husband made me one and spent the entire year writing a few reasons every day. I keep it right next to my bed so if I wake up from a bad dream, if I’m having trouble sleeping or if I’ve just had a hard day, it makes everything alright. You don’t have to spend the entire year writing though, just set aside an afternoon and take your time. You might find it a little tricky at first, even if you love someone sooo much! But after a few pages, you’ll realize it’s hard to stop coming up with reasons why you love them, why you’re so grateful for them and why you love having them in your life. 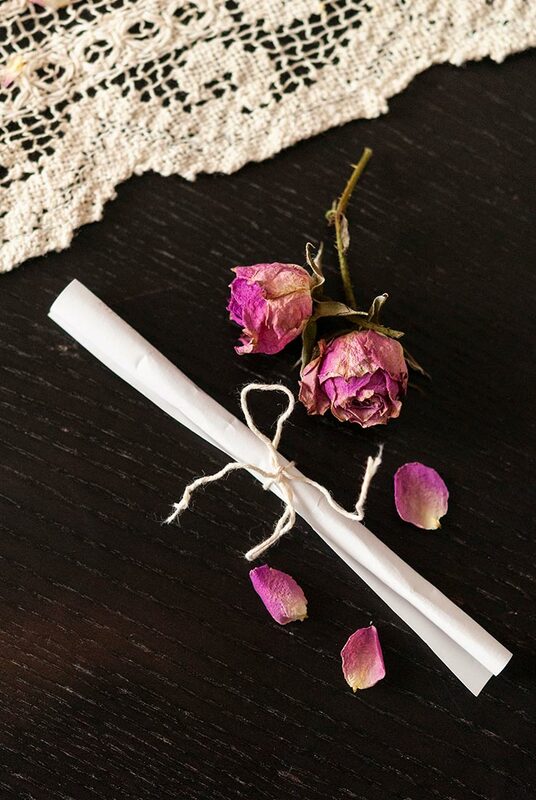 I tied mine with a little string and 1 tiny rose. 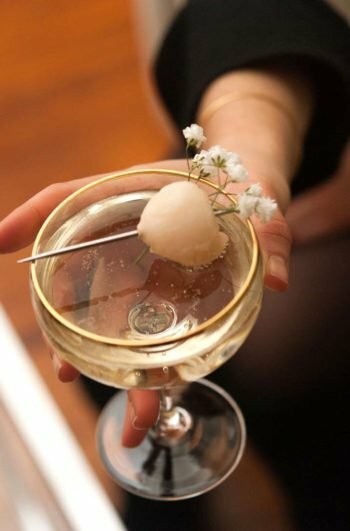 No need to get fancy. You can keep it simple if you want to. 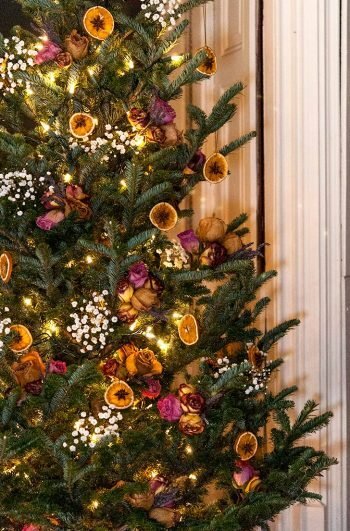 No need to dress up something that’s already so beautiful.